Bailey (left) and Blair (right) having fun pulling Japanese barberry. This summer, Dr. Krista Ehlert and her research students have been investigating the role of in situ climate change on different management strategies for Japanese barberry (Berberis thunbergii), and how that in turn, affects the black-legged tick (Ixodes scapularis), which serves as a reservoir for Lyme disease. The two summer research students in the Ehlert lab are ENVS alumna Blair Frantz ’17 and Biology student Bailey D’Antonio ’18. A lot of the work we’ve done so far has been setting up open top climate chambers (OTCs) that utilize the greenhouse effect to increase the temperature inside the chamber by 1-3°C – what models are estimating with climate change. We also employed different management strategies for Japanese barberry, such as pulling the plant and applying herbicide and compared those to an untreated control. The data that we’ve collected includes vegetation surveys, temperature recordings, and ticks! 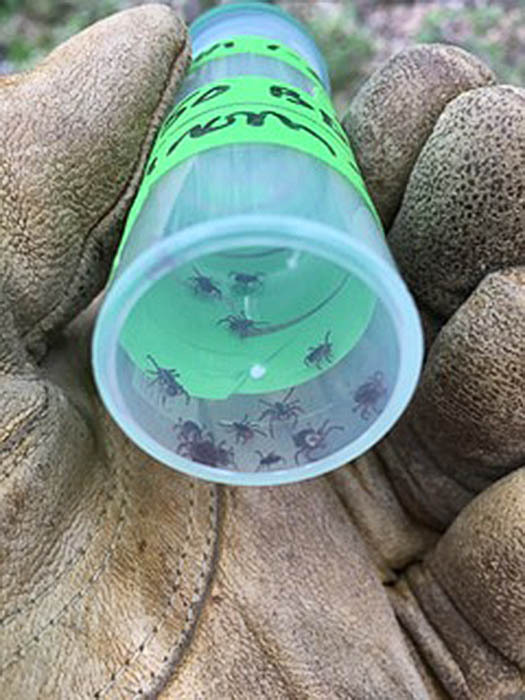 This data will continue to be collected into the fall, and once we have a few hundred-ish (or more) ticks, we’ll be testing them for Lyme disease. 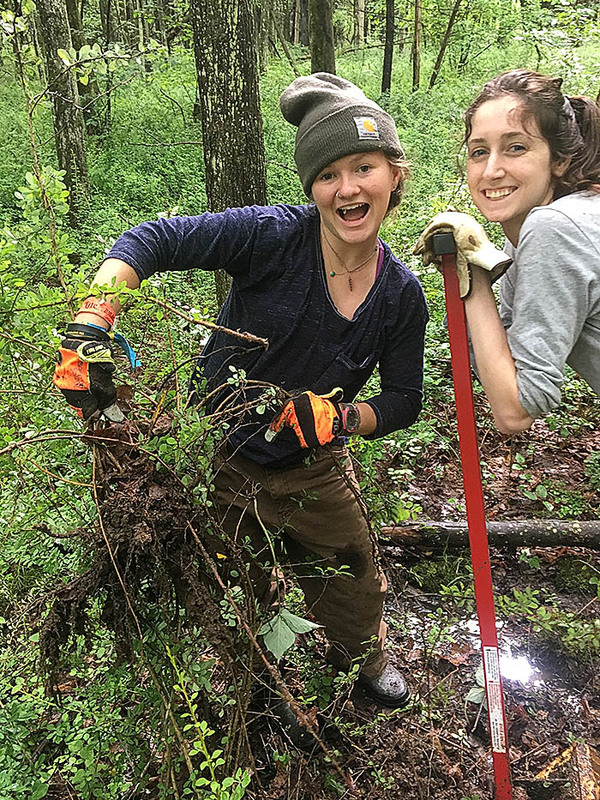 Overall, we’ve had a great summer and are excited to uncover more about the indirect effect Japanese barberry has on Lyme disease incidence in Connecticut. If you want to learn more about what the Ehlert lab is up to follow us on Instagram @ thescientificlunaticks. 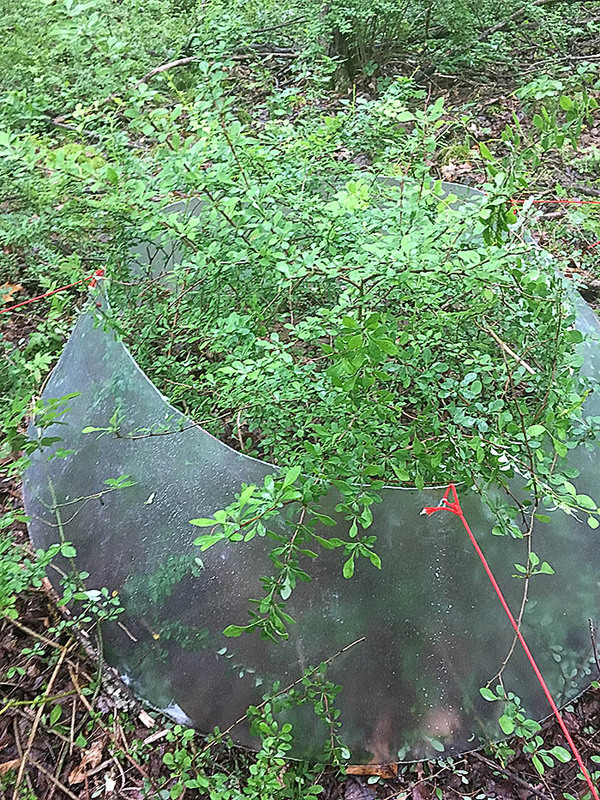 Japanese barberry encircled by an open-top climate chamber (OTC).